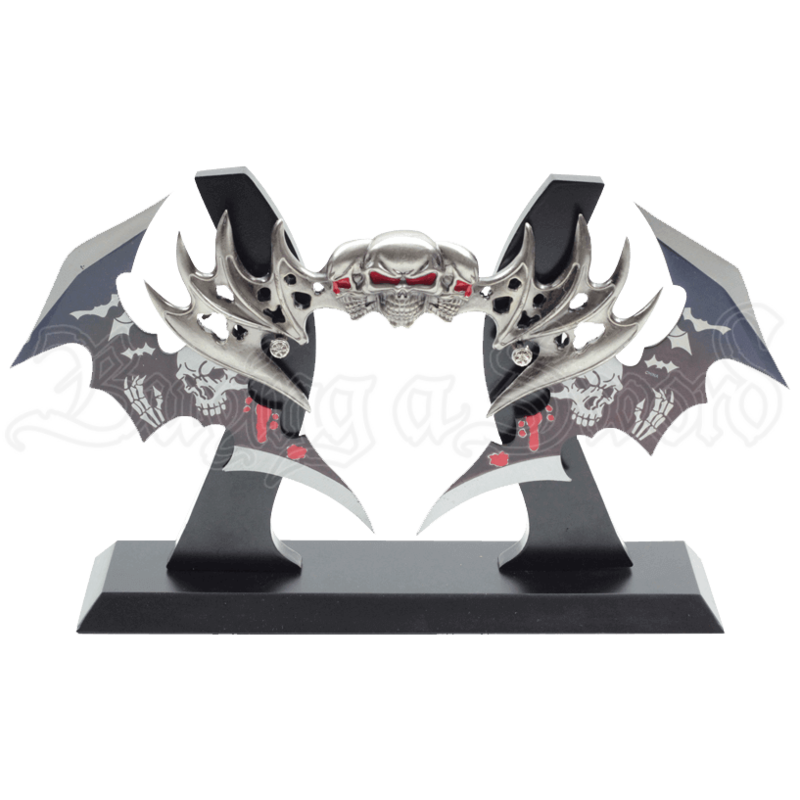 Add a fierce, gothic touch to your arsenal of collectible fantasy weaponry with the Dual Wing Blade Skull Dagger. Skulls, bats, and blood splatter bring to mind tales of vampires and other creatures that move under the cover of night. Two stainless steel wing-shaped blades extend from the cast metal handle. Etched images of skulls, vampire bats, and drops of blood decorate both blades. A trio of vampire skulls forms the grip, their red eyes glittering with malice. A pair of talon-tipped wings extends from either side of the skulls. 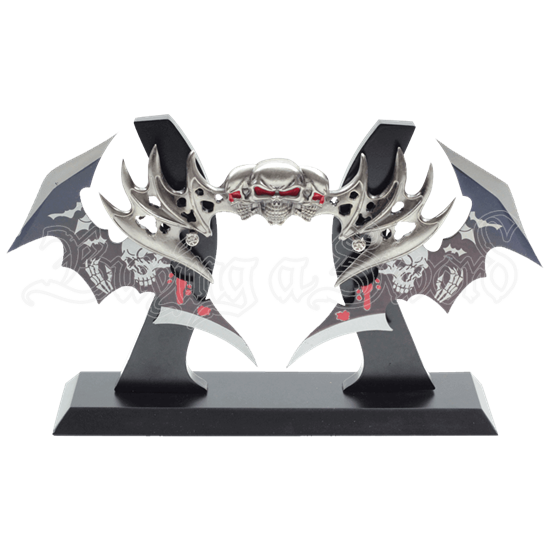 Jagged, misshapen holes give the wings a battle-worn appearance. A wooden stand is included for decorative display.